McDonald's All-You-Can-Eat Fries and Self-Serve Kiosks is Here! Just a quick update, the "McDonald's of the Future" is officially here! McDonald's revamped furture-esque McDonald's in St. Joseph Missouri is now open for business. 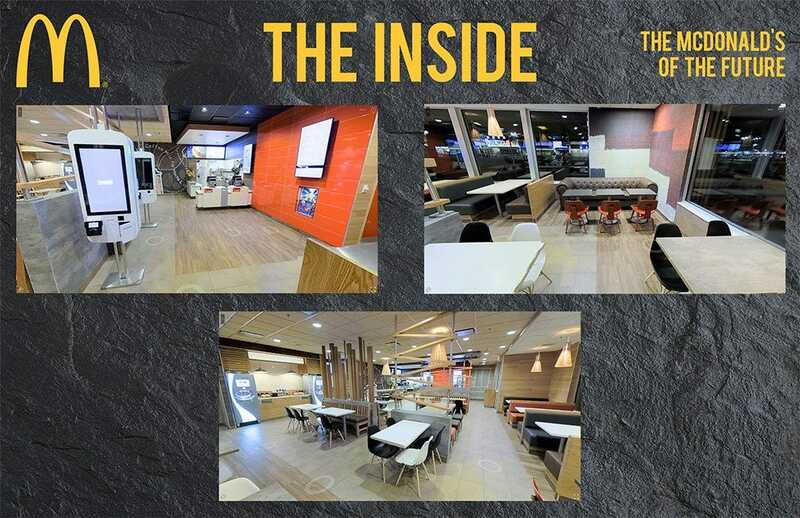 As we mentioned before, the first of its kind, McDonald's revamp of this particular franchise features all-you-can-eat french fries, customizable menu items (burgers, sandwiches etc) and an awesome upgrade to their play area for kids. Wanna take a peek inside? Check out McDonald's St. Joe Facebook page for more details. Lucky McDonald's fans in Missouri rejoice! McDonald's is planning to open a new 6,500 square foot location in St. Joseph, Missouri where you'll not only be the first to get all-you-can-eat fries but also customizable menu options (via their new self-serve kiosks). This new location will be one of the largest in the area according to McDonald's owner Chris Habiger. With all the interactive and modern upgrades to McDonald's, they definitely did not skimp on the kids either. 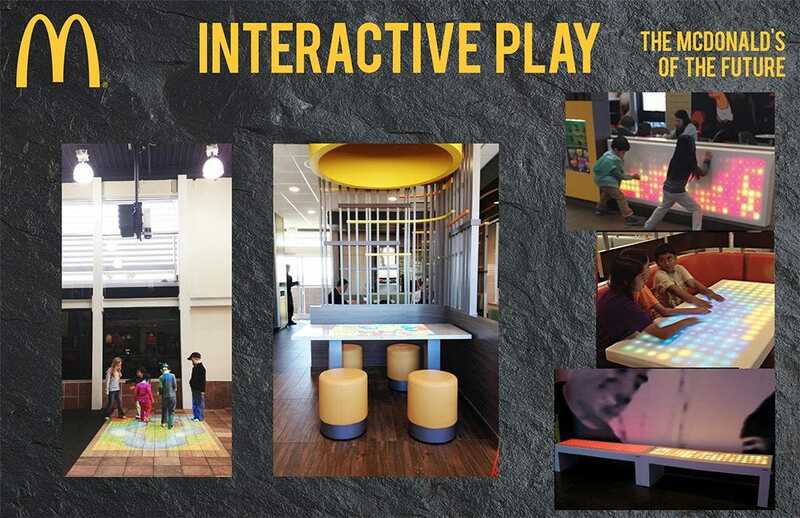 Interactive playroom for kids dining at McDonald's will include lighted tables, table top games and much more. You'll have an added hundreds of meal options with the new customizable kiosks. Customers love having more option in stores and this will high light the option to create a healthier meals for adult and kids. The new kiosks will have the anticipated all-you-can-eat fries, customizable burgers, desserts and more! Missouri is actually not the first to launch a futuristic McDonald, you can check out this video of the McDonald's in Hong Kong which boast a modern design and their very own self-serve touchscreen kiosks. Coming to the U.S., here's how the future of McDonald's will look like with "Create Your Taste" kiosks and exciting modern amenities. All you can eat fries? Good or bad? Great idea! We can push buttons just as well as any teenager and know that the food is handled properly. I just can't wrap my mind around the idea of a fast food store that's several stories high. Assuming food preparation happens on the first floor, what on earth could possibly be on the other floors besides seating? O boy I an eat all the french fries I want! Now I can gain enough weight to be as big as I want to be. I think I want to be as big as a hippo? So that's about 1000 lbs and over. These McDonalds look so nice and modern. I'd go there to eat their soft cones, but pass on those AYCE fries.